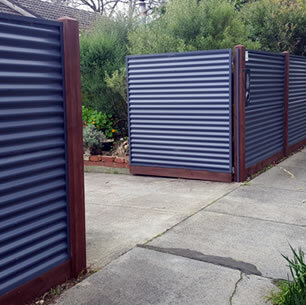 With experience in a wide variety of fencing projects and fence materials, Melbourne Fencing and Decking has the expertise to complete your fencing project. Our high quality workmanship will bring your vision to life and put the finishing touches on perfecting the look of your home. Whether you know exactly what you want or would like some assistance in designing your fence, we offer free, no obligation quotes. Gates built with your new fence are a great way make a statement to the entry of your home, as well as the added benefit of increased security. For any style of fence we complete we can also build matching gates. These can be either manually or electronically operated. 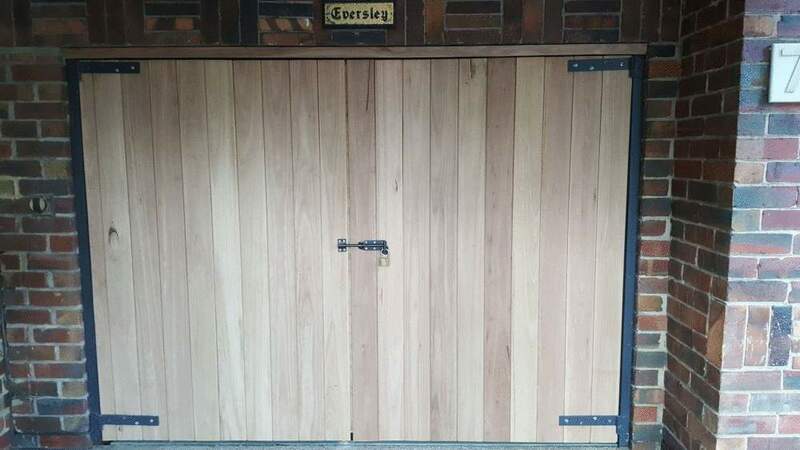 Our steel framed or solid timber gates are custom made to suit your needs and match the look of your fence. We can build single, double or sliding gates, whichever option better suits your needs, and offer the convenience of automation. Ring latches, side bolts and drop bolts are included as standard, providing a more streamline and stylish look at the exterior of your property. Call us on 0430 119 555 to discuss your fencing project. For a stylish but low-maintenance fence, you can't go past Colorbond®. 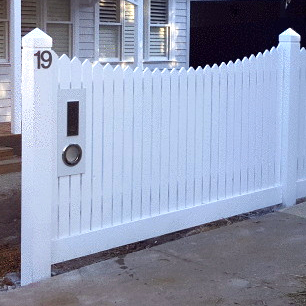 The perfect way to complete the look of your home is with a feature Picket Fence. 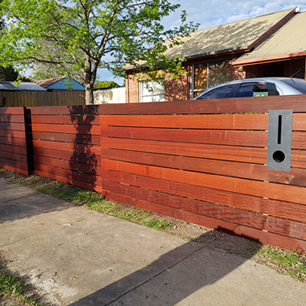 The reddish brown tones and enduring qualities of Merbau timber make it a popular choice for front fences. Frequently used in heritage homes, an Emu Wire Fence adds class and style to any home. 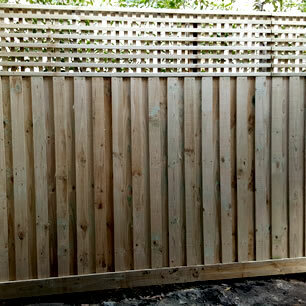 Ideal for side and back fences, Paling Fencing is also a great option if you are looking for added security and privacy at the front of your property. 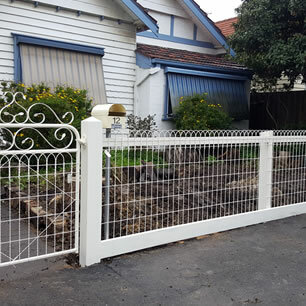 Our steel framed or solid timber gates are custom made to suit your needs and match the look of your fence.